Don't miss our next machine embroidery event with Kimberbell! 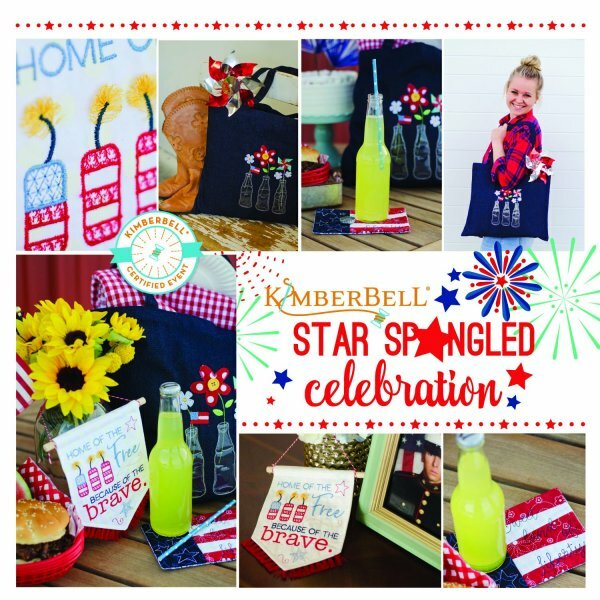 This one-day event features three exclusive event projects: Home of the Brave Pennant, Sweet Liberty Mug Rug, and All-American Celebration Tote. 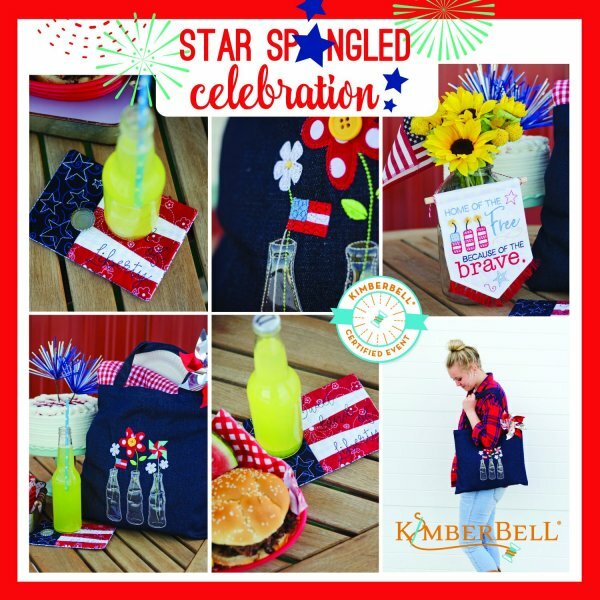 Receive the Kimberbell project kit with fabric, denim tote, and all the embellishments, plus full-color detailed instructions and design CD. 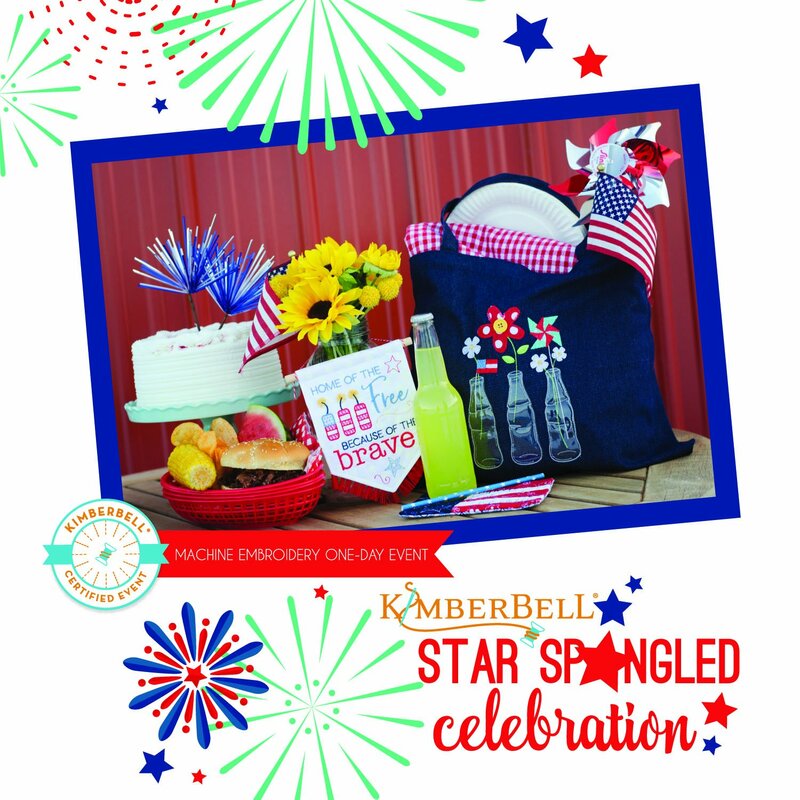 Whether you are new to machine embroidery or have been stitching for years, everything is welcome at our patriotic party! Cost: $119 - Early Bird Special: $99 if you sign up by Wednesday April 17! Cost includes project kit, embroidery patterns, lunch and snacks. Machines will be provided. Call 417-885-1242, visit us in store or register online! Materials Included: Cost includes project kit, embroidery patterns, lunch and snacks. Machines will be provided. with information about upcoming events, sales and even a surprise or two! We promise to never send spam or share your email address with third parties.